Outside of the realm of conventional metal pioneers live SikTh. Alongside The Dillinger Escape Plan, the Watford sextet essentially birthed tech-metal, djent and the rest of that scene before their implosion in 2008. With their out of the blue return at Download last year though, SikTh have re-established themselves back into the British metal world, fully capitalising on that with Opacities, their first lot of new material in just under a decade. The thing is though, any of the six songs on this EP could easily be SikTh circa 2003 – there’s exactly the same manic technicality and spasmodic angularity that was such a draw back in their prime. Mikee Goodman and Justin Long are once again British metal’s vocal dream team, mangling about a dozen different vocal styles into one, but ultimately pulling it off. Walking Shadows darts everywhere from maniacal chattering to evil rasps to eerie cleans, while Philistine Philosophies pulls out a massive chorus that really has no business being where it is but manages to work, and Tokyo Lights ditches instruments entirely for a creepy, drawn-out spoken word peace. Of course, credit must go to the rest of the band though, as the instrumentation on Opacities lives up to the same high watermark as this band have previously set themselves. It’s the guitar work that truly stands out from Dan Weller and Graham ‘Pin’ Pinney and their crafting of zipping, acute riffs that ensure there’s an interesting twist as often as every few seconds. But one of the best things about Opacities is that, it’s not only the signpost for SikTh being back in business, but it sees them experimenting and pushing themselves in new directions. Closer Days Are Dreamed is the best example of this, a hauntingly languid six minutes built around electronics and choral vocals that is unlike anything they’ve ever attempted before. It caps off this EP with the staunchest of statements – SikTh are well and truly back, and in they finest form they’ve ever been in. You’ve got just under half an hour of proof right here. 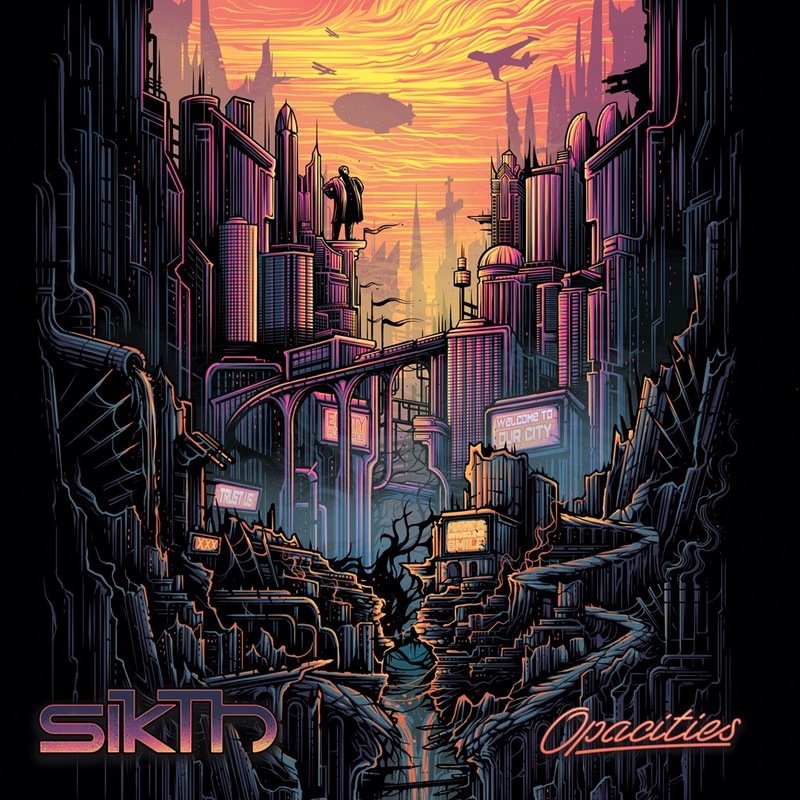 ‘Opacities’ by SikTh is out now on Peaceville Records.